Folk music and activism have a long history together, from Woody Guthrie’s radical protest songs to modern troubadours like the recently deceased Pete Seeger. But you don’t have to be a big name to make a big difference. All over the country, artists maintain a commitment to affecting change through their art and their actions. Amy Andrews is one of those artists. Andrews, a Baltimore native with a degree in operatic vocal performance, made a new home in Atlanta a few years ago. Between performances in The A’s many listening rooms — including Eddie’s Attic, where founder Eddie Owens has been a mentor and a staunch supporter — Andrews has lent her voice, literally, to a number of causes, including the local Songs for Kids Foundation. While she’s happy to help out any worthy cause, there is one that is particularly dear to Andrews. “Any organization that works to offer resources (safety, nourishment, and empowerment in all forms) to victims of domestic violence is certainly of great importance to me,” she says. Andrews is a bright and chipper presence but, as her commitment to activism suggests, she’s also possessed of a seriousness of purpose, a characteristic that colors her songwriting. Having traded arias for a mellow and often melancholy style, Andrews showcases her formidable vocal power and impressive control in a far less bombastic fashion, by accompanying herself on acoustic guitar. Despite the fact that Andrews has found a supportive community of folkies in her adoptive home city, Atlanta is much better known for the rough-and-tumble antics of bands like Black Lips, or the party rap of artists like 2 Chainz. Seeking to connect with the larger folk community, Andrews went for the first time this year to the Folk Alliance International Conference in Kansas City. 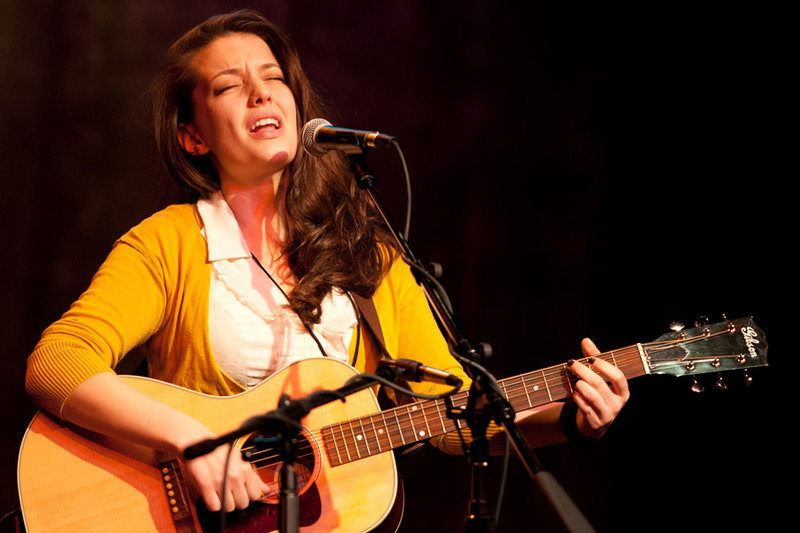 Some of her highlights from the conference included Della Mae and Ruth Moody, both of the Wailin’ Jennys. The conference also featured an address from former Vice President Al Gore, further strengthening the link between activism and folk. But Andrews is quick to point out that folk musicians don’t have a monopoly on involvement with causes. “I don’t think the idea of a link between art and activism is at all exclusive to the genre of folk music, but there is certainly an undeniable, inextricable link between a sense of, and a responsibility to, community within the folk world,” she says.